Welcome to Bone Suckin' Sauce a serious barbecue, grilling & marinating sauce for land & sea. Use amply for that Bone Suckin' flavor! Bone Suckin’s gluten free barbecue sauce is a Western North Carolina tomato based sauce sweetened Bone Suckin' Steak Sauce with honey, molasses and spices and an irresistible flavor. 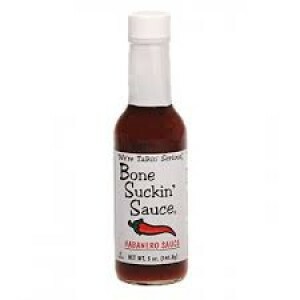 Bone Suckin’ Sauce’s light, smoky flavor, combined with onions, garlic, and the perfect blend of spices, will quickly make Bone Suckin’ Steak Sauce your favorite! 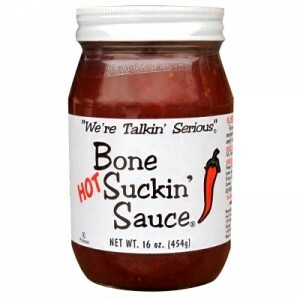 Bone Suckin' Sauce is the All Natural, No Preservatives Non-GMO, contains No High Fructose Corn Syrup, No Canola Oil, Gluten Free Barbecue Sauce! 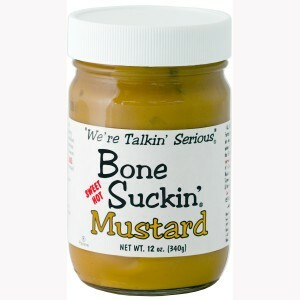 It's Bone Suckin' good!